Earlier this year on a well-earned break sandwiched between the World Congress on Public Health in Melbourne, and the World Health Assembly in Geneva, Public Health Association of Australia CEO, Michael Moore, took time out to travel to (and through) some of the most fascinating parts of Europe with his wife Helen. In the post below Moore, who is also President of the World Federation of Public Health Associations, shares some of the highlights of their very active holiday, and a few public health insights. Grab yourself a cuppa and enjoy! 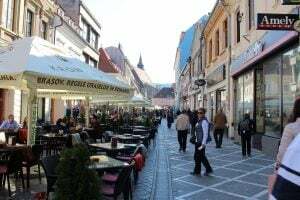 It was a shock while travelling in Romania to hear that 17 unvaccinated children had died in that country in an outbreak of measles. I took the opportunity to talk to health leaders while on leave Romania, on my way to the World Health Assembly in Geneva, as part of my responsibilities as President of the World Federation of Public Health Associations (WFPHA). 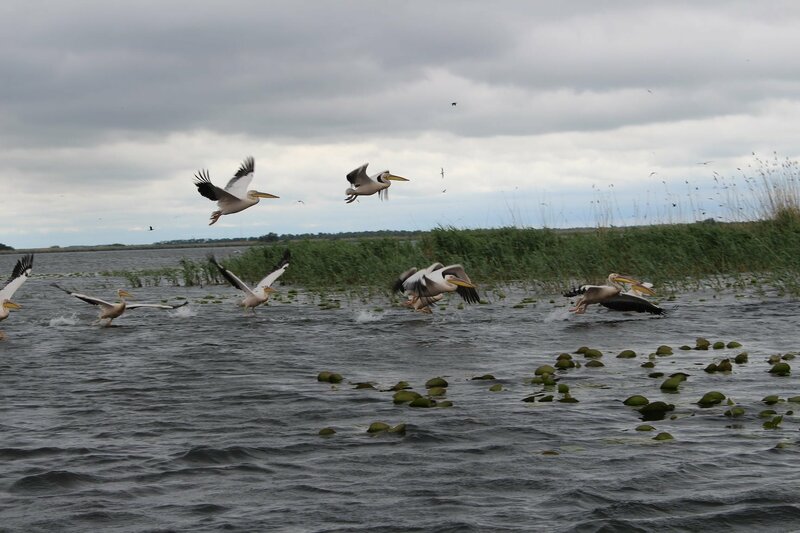 The Danube Delta is a UNESCO world heritage site. It did not take long to realise why. For Helen and I, it was reminiscent of Kakadu National Park – although we could be relaxed about lack of saltwater crocodiles. Teeming with bird life, a complex set of marshlands finally flow into the Black Sea. The weather was miserable. It improved a little in the afternoon as we visited an ancient Roman ruins and stopped to dip our feet in the Black Sea. It was typical weather for Europe in Spring, but turned out to be one of the very few inclement days in six stunning weeks of travelling. 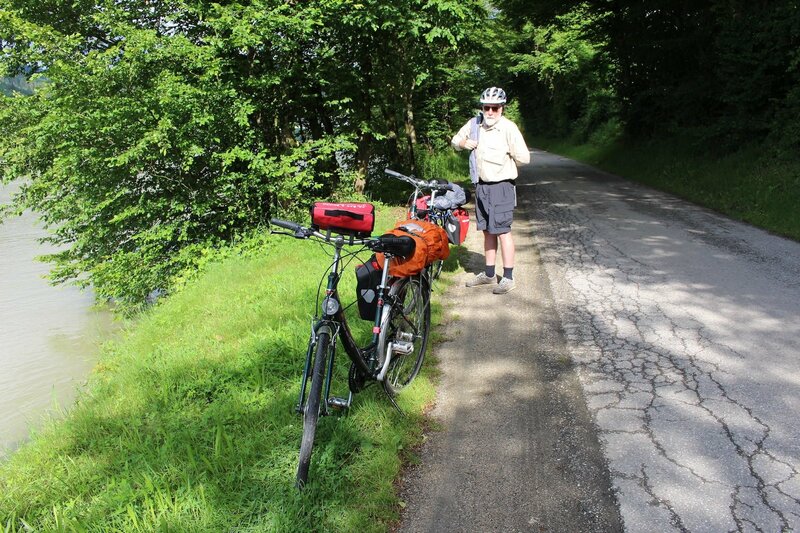 The weather remained kind as we walked and climbed Mt Blanc and rode bicycles along the Danube. The ancient history of this Roman country surrounded by Slavic nations was fascinating, as was the recent history of Bucharest, particularly under the communist dictatorship of Nicolae Ceaușescu. Our guide to the Danube Delta and another guide later on a “free” street tour of Bucharest reminded us that not all was terrible under the dictator. The community members did have security and entitlement in their jobs, education and health, although very little opportunity. This message was to be reiterated when meeting health leaders in Bucharest, who were appalled that the vaccination rates had dropped from 95% under Ceaușescu to significantly less at the time of the resultant outbreak of measles. A horrible situation but an important statistic to counter the anti-vaxxers and provide a warning about under-vaccinated communities and the real impact of controllable diseases like measles and pertussis (whooping cough). The drop in the vaccination rate, we were told, was more about failure to maintain the primary health system than any former dictate regarding immunisation. Romania has lost thousands and thousands of their doctors to more lucrative practices in Western Europe and particularly Germany. Visiting Romania without including Transylvania would have been a travesty. We hired a car and headed to the Carpathian Mountains. The same country that has the world’s third fastest internet speeds and an advanced and growing digital economy, has the contrast of shepherds with their flocks, and horses and carts carrying loads of grass that has been hand cut by scythes to be taken to feed stock. 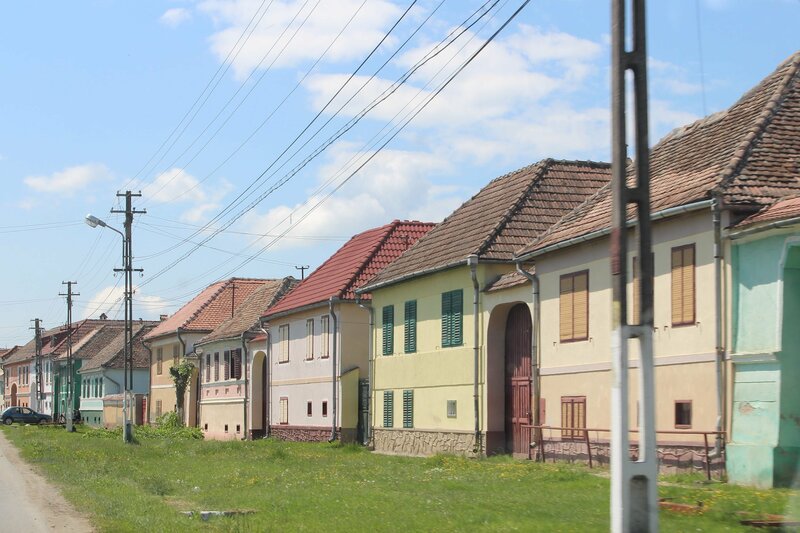 Pride in the care of the small towns was obvious, with brightly painted houses and manicured personal gardens. We did visit amazing castles, including that of Vlad the Impaler made famous by the Dracula legends. 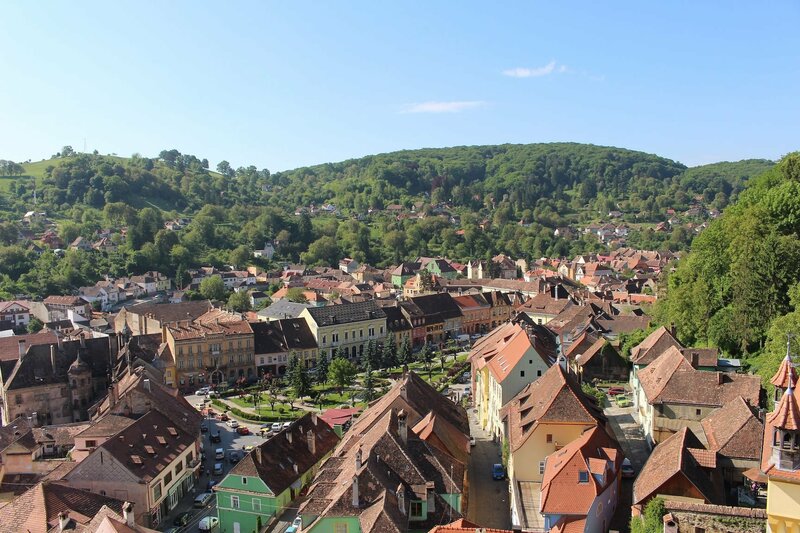 However, more interesting were the dynamic regional cities like Brașov and Sighișoara, which continued to show the contrast of the modern and the ancient. We then spent ten days in Geneva, participating in the activities in and around the World Health Assembly including watching at close quarters the final speech of Dr Margaret Chan and the process around the election of Ethiopian Dr Tedros Adhanom Ghebreyesus as the new Director-General of the World Health Organization. My predecessor of the WFPHA, Dr Mengistu Asnake, was able to ensure that our organisation had the opportunity to pass on our congratulations to the new Director-General as soon as possible. On my final day in Geneva I presented a statement to World Health Assembly on WFPHA’s Global Charter for the Public’s Health, and conveyed the messages from the Melbourne Declaration, an outcome of the World Congress on Public Health held in that city some weeks before in early April. Then it was back to holidays. 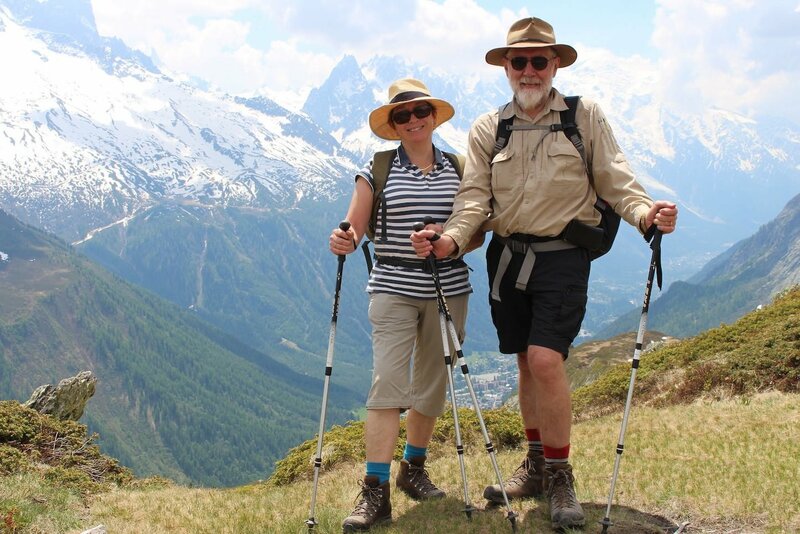 We joined a group of walkers to follow as closely as possible the Tour de Mt Blanc. Being a little early in the season, some sections were awaiting the erection of walking bridges to make them safe while another was still covered in metres of snow. Our group set up camp in a chalet in Chamonix and were taken to walk section by section through the week. The ramifications were that every day commenced with a tough climb, followed by a long and steep descent down the mountain in the afternoon. 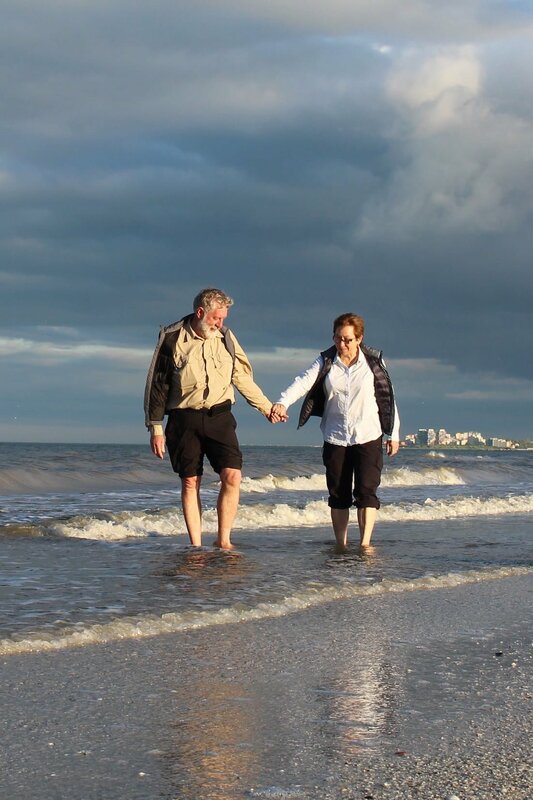 It felt more challenging than the year before, when we had taken just less than three weeks to stroll across England on Wainwright’s ‘Coast to Coast’ walk. There were certainly days, especially in the late morning, when I was asking myself why we were punishing ourselves in this way. In the end, the views, the surrounds, the company and the sense of achievement seemed to compensate. This was the first walk we had done with a group and leader, which presented the added challenges of not being able to select our own pace, being constantly aware of the needs of others and watching the different personalities. 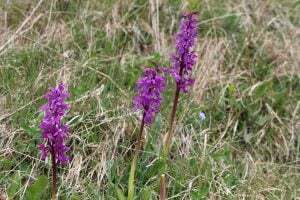 On the plus side, it was a thoughtful and cohesive group with an outstanding leader and a range of talents including a botanical enthusiast who was happy to share his knowledge of the local flora. Staying in the same place without having to carry our luggage or move it each day was quite a luxury on a walking holiday. The food was exceptional and the chalet warm and welcoming. The only disruption was an occasional work email, impinging on the evenings. 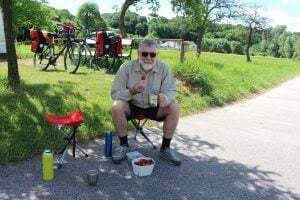 The next phase of our holiday would keep us moving, as we want by bus and train across to Passau in Germany to pick up bicycles for what would turn out to be a ride of more than 750 kilometres, largely along the banks of the Danube. 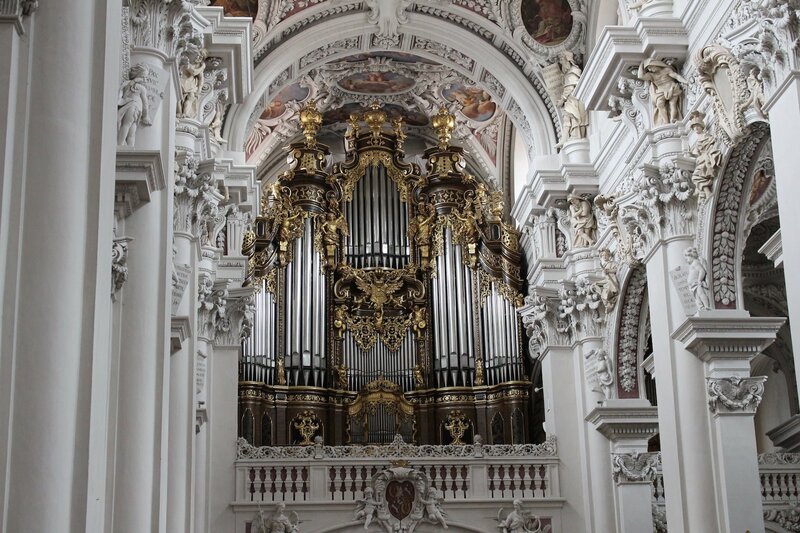 Our first stop was Passau cathedral which prides itself on having one of the largest organs in Europe. We were still adjusting the bikes we had picked up the previous afternoon and working out how to load the saddle bags. Our luggage was to be moved for us each day to the next location – so much better than trying to carry them it the bicycles. We did carry warm and wet weather gear, which we were fortunate enough to only need on one occasion late in the ride. There would be many more cathedrals, castles, monasteries and ancient ruins. One of the challenges was working out which of these we would bypass. Included with the bikes was a small toolkit and a spare tube (which was never needed). It took a while to work out that leaving the tyres rock hard over cobble stones was a bad idea. It would have been an improvement to have gel seats and we now understand why more experienced riders wore their bicycle pants. Our helmets had come from Australia with us, despite being awkward to carry on planes and buses. Very early in the ride we stopped at a bike shop and bought mirrors. They were a bit expensive – but we felt worth every penny, both with much faster riders coming from behind (as many seemed reluctant to use their bell) and when we were riding on the roads. As we headed for Vienna the rides regularly moved a small distance from the river to take in village scenery and places of interest. We were following the maps provided by the same company that had supplied the bikes, moved the luggage and organised the accommodation. It was quite a civilised way to travel further than you can while walking but you can see much, much more than if you are in a motor vehicle zooming from one place to another. Along the way there were friendships made and, small world, we ran into people that we knew as well as friends of friends. 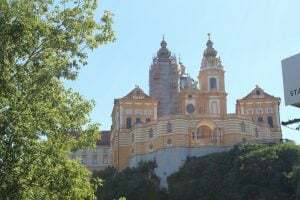 The Benedictine monastery at Melk is a UNESCO World Heritage site. It was a tough low gear ride up to the parking area, particularly when we had taken into account that we would be generally heading slightly downhill by following the direction of the river’s flow. The monastery was stunning, as were a series of castles along the river. However, it reminded us of an era when poverty was rife and the clergy and nobles spent astronomical amounts of money to build edifices and coat them in gold. Even worse – it made us wonder if the current concentration of wealth in a small number of people, and the growing disparity, was taking the modern world in a similar direction. As we approached Vienna we took time to ride into Tulln. Of particular interest in this town are the Ecological Gardens, which not only provide great viewing but are used as an education facility for schools and higher education. They also provide ideas and instruction on decorative and nutritious gardening. 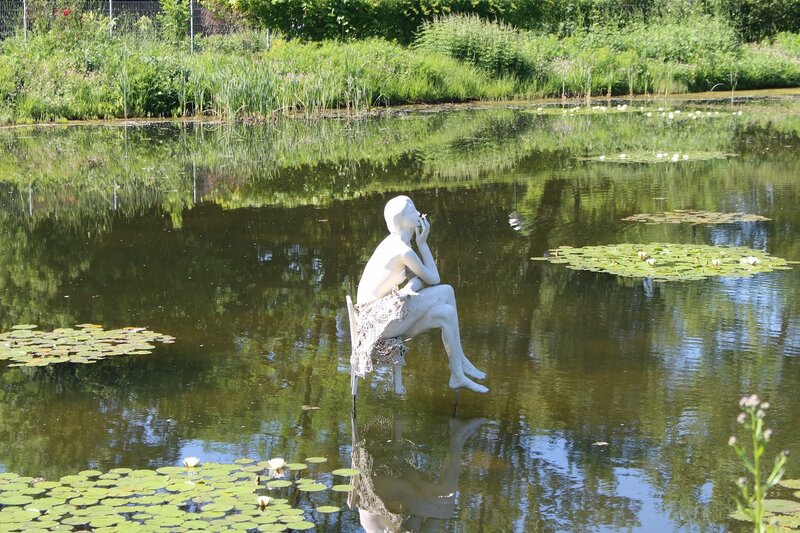 The gardens had some water features with a series of sculptures. One at the entrance to the gardens was of a woman sitting in contemplation as she smoked a cigarette. I took the opportunity to write a note and place it in the comments box regarding the inappropriateness of the sculpture in this type of facility, especially as they were doing such great work on sustainability and its impact on human health. I am pleased to say that the general manager responded, pointing out that the statue was commissioned many years ago and they were now keen to discourage smoking. In my reply to him I suggested he might consider making half of the outside eating area smoke-free to emphasise their commitment. I do not recall seeing an outside smoke-free area anywhere in this year’s European travels. Most of the riders we met on the trail handed in their bicycles when they stopped in Vienna. Knowing that we would have a few days in the beautiful Austrian capital before departing for home, we headed off the next day towards Bratislava. The bike track through Slovakia and Hungary was quite different from the path in Germany and Austria – although it remained very interesting. The castle in Bratislava, and small towns in Austria, Slovakia and Hungary were all interesting. Each day we prepared a couple of thermoses at breakfast so we were relaxed about stopping regularly to enjoy a cuppa and take in the surrounds. The tracks in these areas regularly moved quite a long way from the Danube but would then steer us back towards the river. 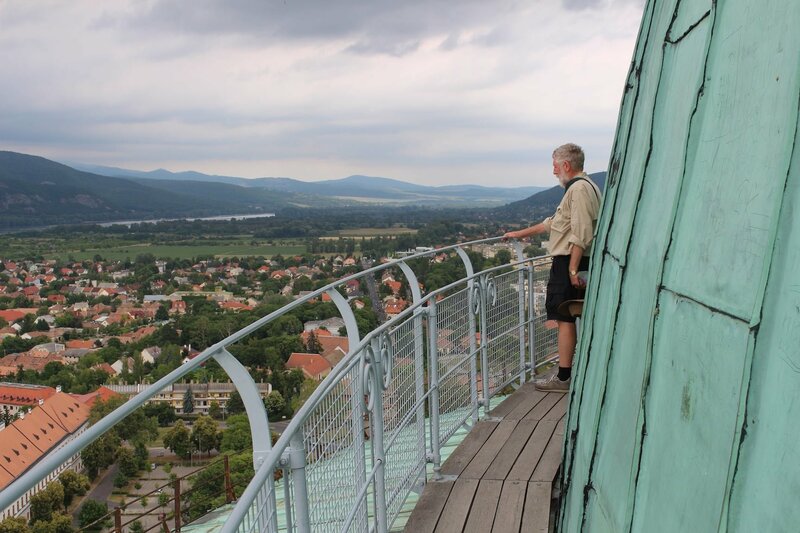 We sometimes pedalled a little harder so we could take time out in places like Hainburg and Bratislava and Gyor. The technique was to arrive at the destination early in order to have time to walk around the cities and towns. One of our digressions took us past the famous Hungarian horse stud, Bábolna Horse Stud, that has been training in riding since the 1789. The track in Austria had been pretty reliable and followed the Danube reasonably closely – only varying to take us to sites of interest. 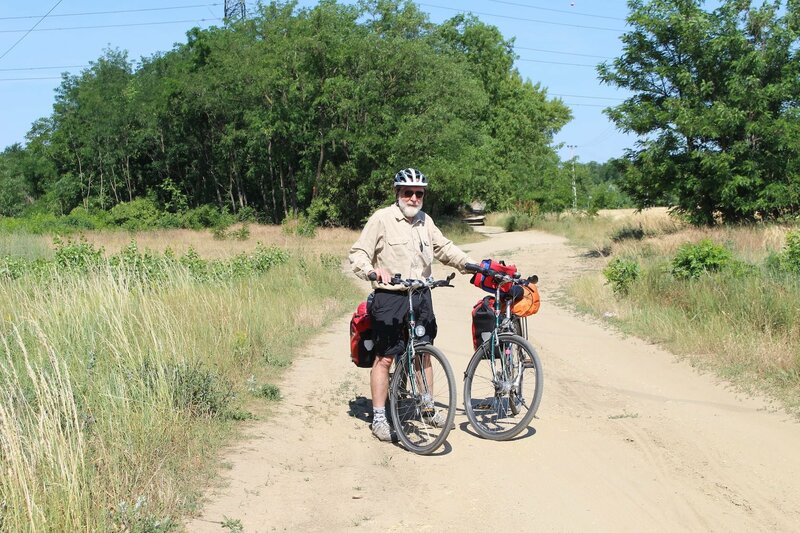 The bicycle track, however, in Slovakia and Hungary meandered along country lanes and tracks, and included quite a few kilometres on dirt road on one of the days. On one occasion we were directed along a busy highway for a short while and on others the ride included quite a few kilometres on paved road carrying light traffic, but fast traffic. The mirrors that we had purchased were invaluable. It all added to the diversity, the adventure and to the fun of such a trip. Sometimes the maps were a little hard to follow, and then we would relax as we spied a sign for the European Cycle Route 6. This was largely the route we had taken since leaving Passau. On the last day of the ride we departed Esztergom and took advice to avoid busy roads, especially riding into Budapest. 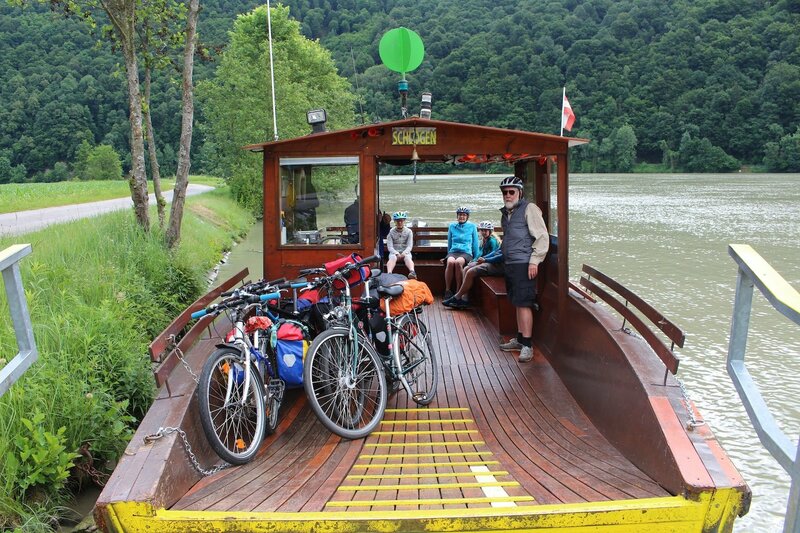 As an alternative we rode to Szentendre and boarded a river ship bound for the 15 kilometres leading into Budapest. It was a fabulous way to arrive in the Hungarian capital with Buda on one side of the river and Pest on the other. From the wharf we rode along the banks of the Danube and through some city streets to find our hotel. For the final time, we arrived to find our luggage waiting for us. We handed in the bikes, spent a couple of days in Budapest and finally took the bus back to Vienna to complete the holiday before heading home.